Do you know someone who deserves a CHECT Champion award? Nominate them now! Every parent of a child affected by retinoblastoma is acutely aware of the disruption and upset to family life that treatment and check-ups can have, not just on the patient but on their siblings too. 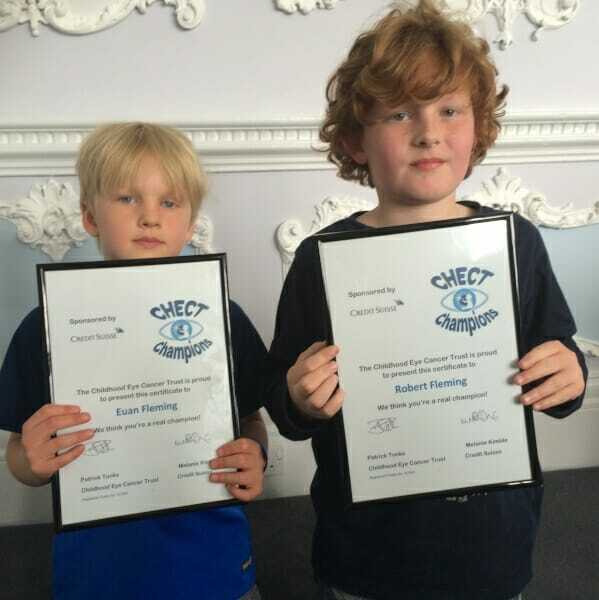 CHECT Champion awards were established to recognise the outstanding bravery of all children affected by Rb. This may be children who have had screening or treatment for Rb or their siblings. 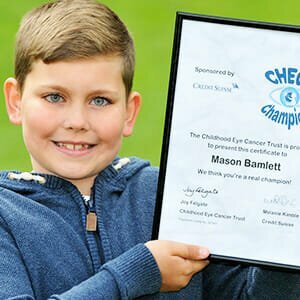 The CHECT Champion awards recognise the achievements and courage a child has shown in a number of ways. Perhaps they have been brave in clinic, overcome a challenge in managing their artificial eye or shown outstanding patience when their brother or sister needed to attend hospital. It’s easy to nominate a child for an award – simply tell us who you would like to receive the award, why you are nominating them and what the award would mean to them. Ideally, the child will be of an age to be able to understand the nature of the award. Nominated children will then be invited to receive their award at a special presentation in their region – several presentations are held around the UK each year. If this isn’t possible then awards may be posted out to your home address. Occasionally it may be possible to arrange a special presentation in the local area. Each child selected for an award will receive a framed certificate, presentation medal and a small gift to recognise their achievements. Raising awareness of Rb and the warning signs is a major part of the work CHECT does. 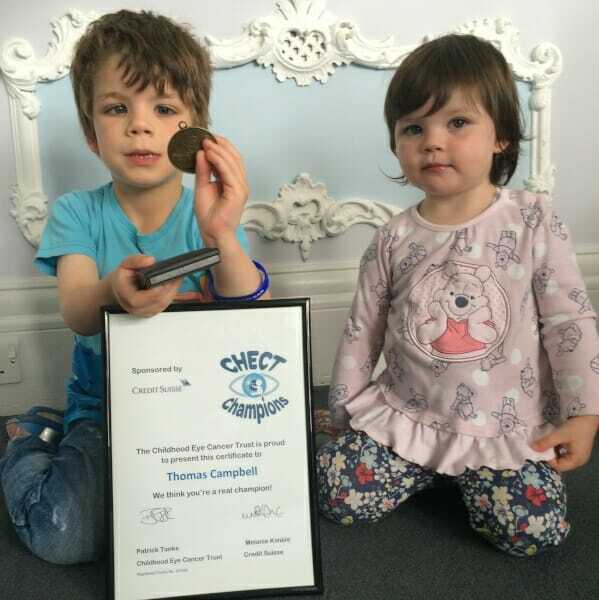 We want every parent in the UK to know that children can get eye cancer and to look out for it. You can help us with this huge task by sharing the news of your child’s award with the media. This will help educate other parents about the condition and we hope you will be happy to participate in this. Please complete the CHECT Champion nomination form online and read the terms and conditions below. Once we’ve received your nomination, we’ll be in touch to organise the presentation of the award. All nominees must be aged 18 or under at the date of nomination, live in the UK and be a member of CHECT. 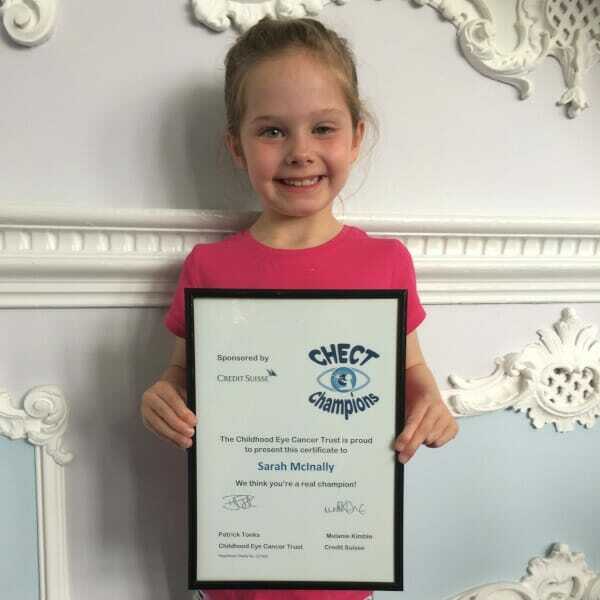 Children who have previously received a CHECT Champion award are not eligible to receive the award again. If you are not the parent or carer of the child you are nominating, we request that you have informed their parent(s) of your intention and have their permission to proceed. We have a limited number of awards that we are able to make each calendar year. If the number of awards for that year has been exceeded, any further nominations will be held over until the following year. We will endeavour, wherever possible, to award all eligible nominees but cannot guarantee being able to do so. Please make sure you include at least a few sentences on your form telling us about the child you wish to receive an award and why – the information you provide will help us form part of your child’s presentation speech so the more detail you can give us the better.